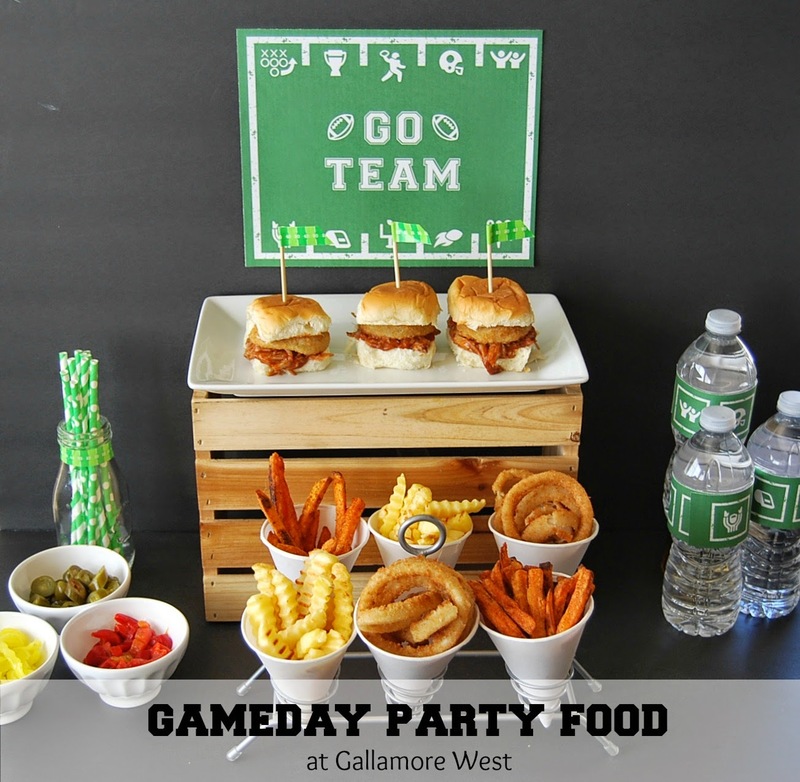 gallamore west: Game Day Party Food Ideas! 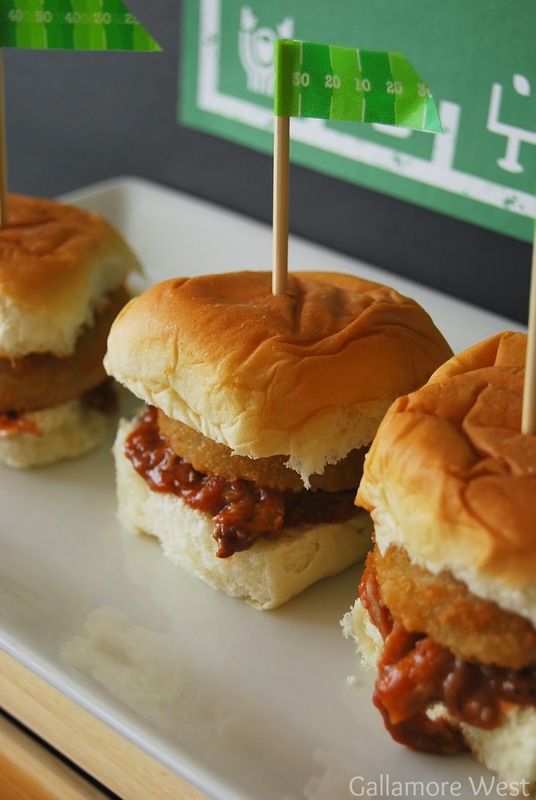 Game Day Party Food Ideas! It's Play Off Time in Football and before we know it, it will be the day for the Big Game! Whether your team makes it to the Big Game or not (mine already did not... sniff, sniff) it's still so fun to get together with family and friends to watch the game. 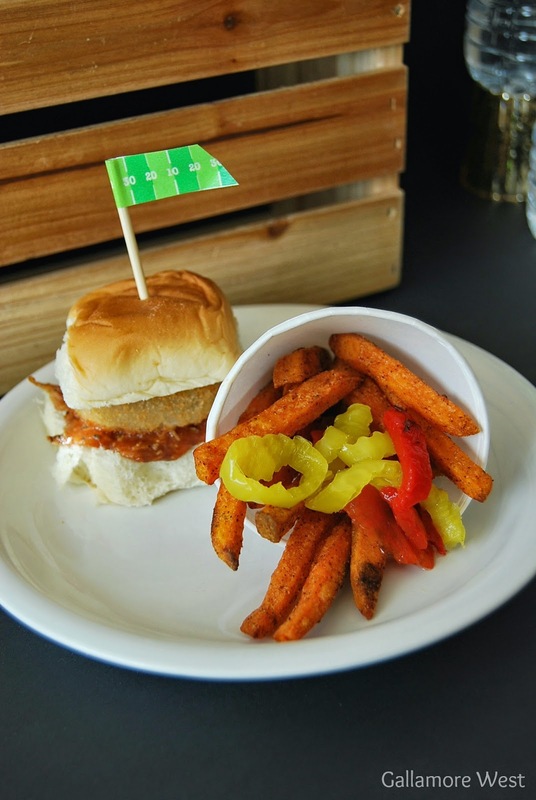 We always have a get together at home for the Big Game but really, for many of us it's really all about the FOOD! I put together a fun, easy food table to show you that it is totally do-able for anyone to pull off a delicious food table for the Big Game that is easy, fun and festive! I started with Alexia French Fries and Onion Rings from Walmart. They come in a huge variety of flavors and different cuts, so there is something for everyone. I picked up Spicy Chipotle Sweet Potato Fries, Crinkle Cut Fries and Crispy Onion Rings. For a main course I made mini pulled pork sliders on rolls. You can make your own pulled pork or you can go the easy route and buy pre-cooked pulled pork from the store. Then I topped each one with crispy Alexia onion rings. These sandwiches were SO easy to make and so delicious! I used washi tape and bamboo skewers to make the little flags on top of them. I am so glad I picked up this little metal holder a few summers ago- I use it all the time! 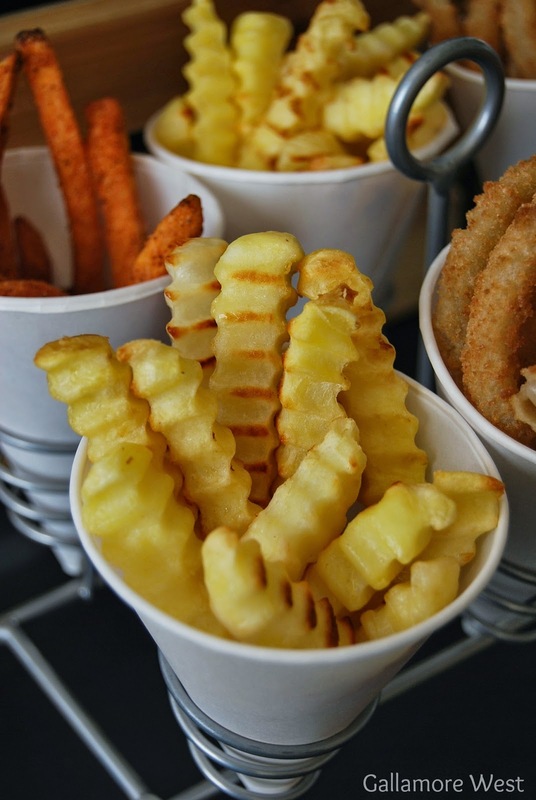 I think it was originally intended for ice cream cones or snow cones in the summer, but look... it also works perfectly for FRENCH FRY CONES for the Big Game! And I really couldn't pick my favorite between the Crispy Onion Rings and the Chipotle Seasoned Spicy Sweet Potatoes Fries... so I had both! With some peppers added because I really love a good, spicy kick. 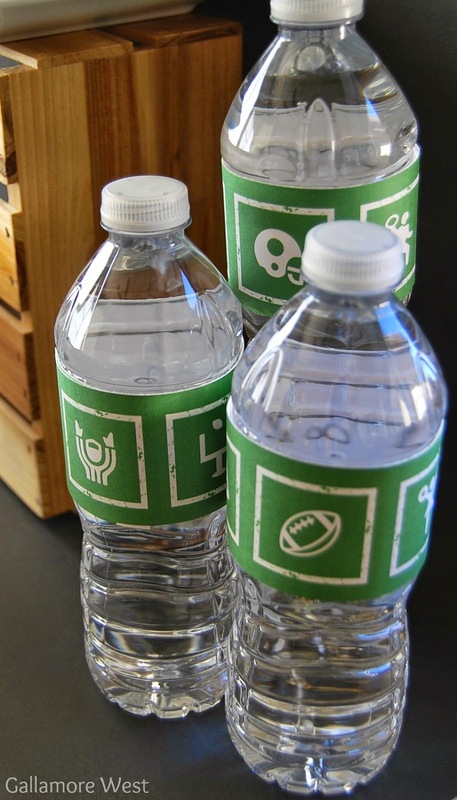 Make your party complete with free football printables via Pinterest! There are so many to choose from- I printed my "Go Team" sign and the water bottle labels from Catch My Party. 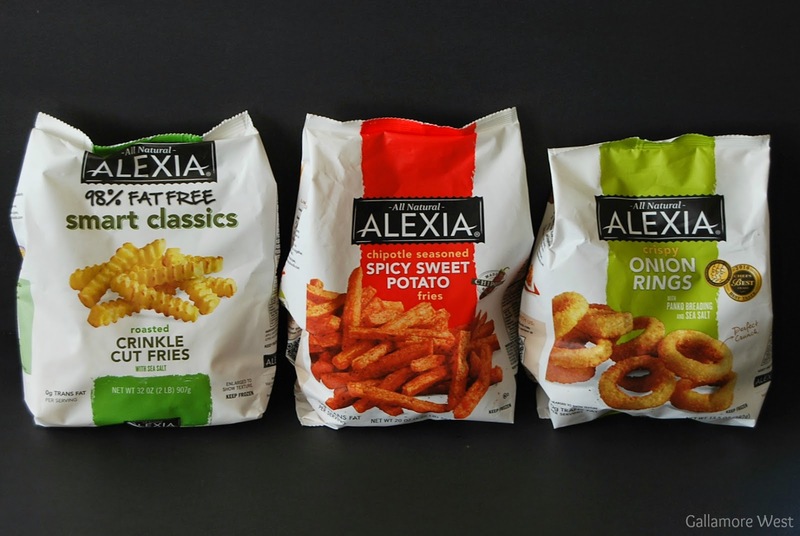 Alexia Fries and Onion Rings aren't your ordinary frozen fries and rings. They are high quality and with so many varieties to choose from, you are sure to find your favorite. Want more info on Alexia? Check out Alexia online/ Facebook/ Alexia Website/ Alexia on Pinterest. 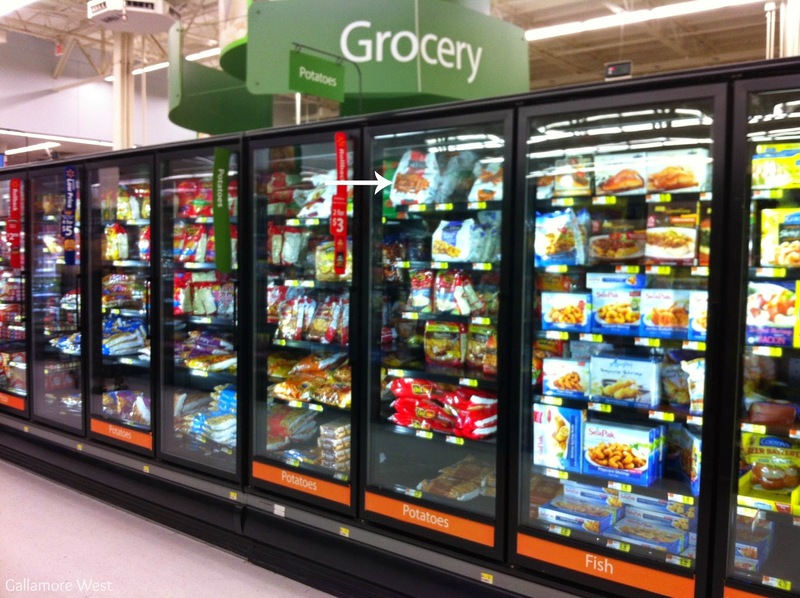 You can find them in the freezer section at Walmart. This is such a cool layout spread for food! Those fries look delicious too. I'll have to check them out. Thanks so much for using my printables! 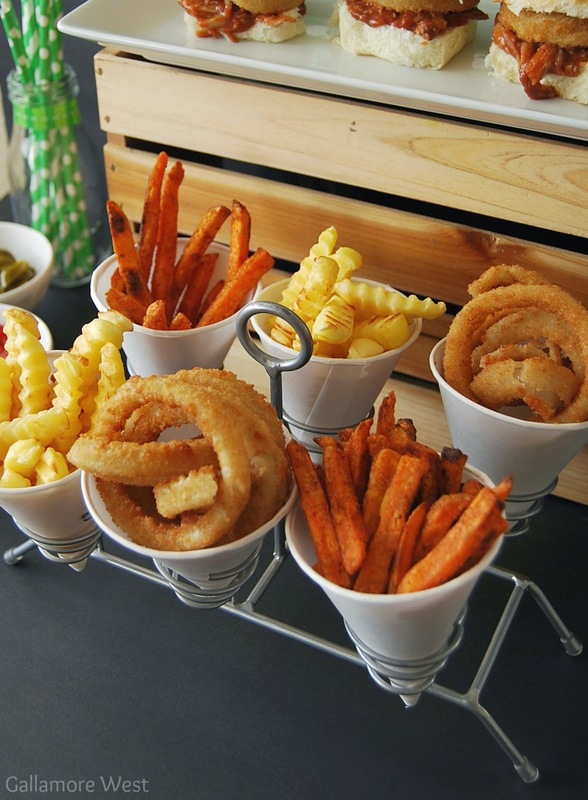 Your party food looks delicious!